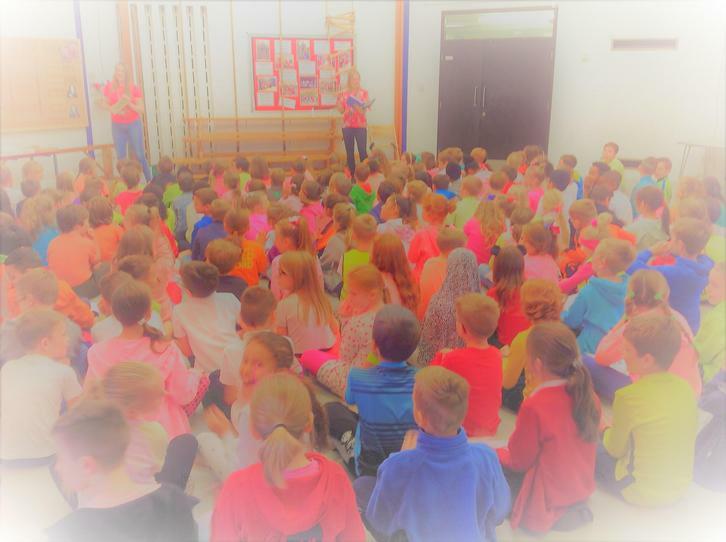 Our school is full of bright colours today for our "Be Bright Be Seen" day. Lots of children met this morning at 8.30 from both Hatch Warren Infant school and our school to enjoy the very pleasant walk to school. In addition to the use of the park and stride, lots of families walked to school from their homes. Thank you for your continued support to reduce traffic around the school.